I have had a Pinterest account for a year, maybe more. I have a little over 800 pins, which I don't think is alot, but it could be. I refer to my Pinterest boards as "my fantasy life". Why? Because the majority of the things I pin I will never purchase nor bake nor make nor wear. For instance, this bed found on Etsy.com. 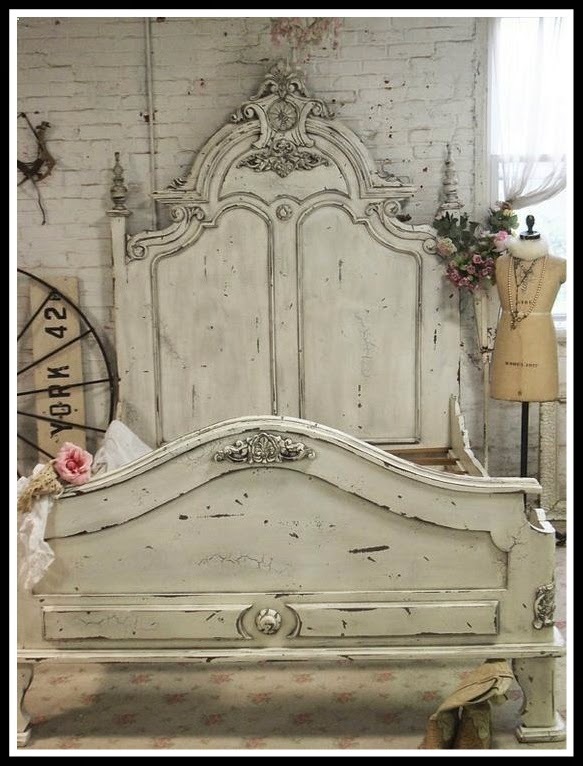 I love this bed and it is pinned on my FOR THE HOME board. Will I ever have this bed? Nope, not unless the Etsy seller decides to lower the price, drastically. This bed, in queen size, costs approximately $1,200.00. I cannot ever see me paying that much for a bed. But, I can see this bed in my house, fully attired in a thick comforter, soft sheets, a lacy bedskirt and lots of pillows. I see me lying like a queen in this bed, with lots of little minions bringing me fruit and chocolate all day. And I never gain weight. That's how it works in my fantasy life. 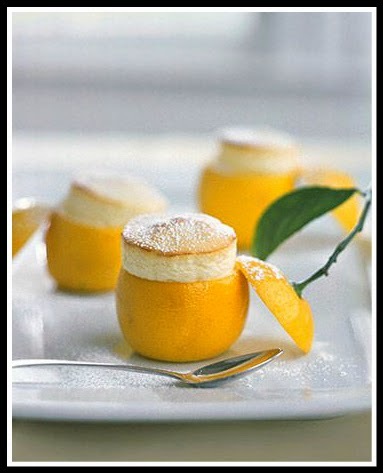 This recipe is on my RECIPES board - Little Lemon Souffles by Martha Stewart. They look YUMMY and the recipe seems simple enough. Unfortunately, the word SOUFFLE intimidates me. While the recipe looks like something I could prepare, that one word keeps me from even attempting to bake these little delights. I envision the lemons coming out of the oven shriveled and brown and a big hole right in the middle of the souffle. Epic failure! However, in my fantasy life, I'm wearing my pastry chef's hat, I have a soft dust of flour along my cheek and I'm carrying a tray of the most perfect Little Lemon Souffles the world has ever seen. Oh, and I'm wearing my new Jimmy Choo shoes! I love fresh flowers, especially hydrangeas...and white or pale pink roses. I've tried repeatedly to grow hydrangeas with no success. While the leaves will grow beautifully, I've never been able to squeeze a flower from my plants. To say that I do not have a good relationship with plants is an understatement. They hate me! It does not matter how much I nurture them, they flounder under my brown thumb. 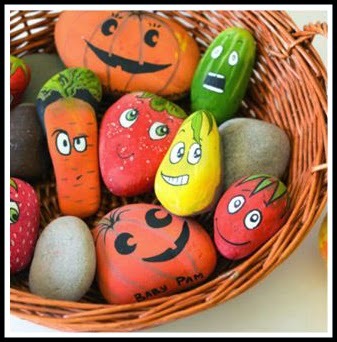 See the look on the cucumber and carrot below (courtesy of adventure-in-a-box.com)? This is the look I get when plants see me coming! In my fantasy garden, all of my plants look like this.. 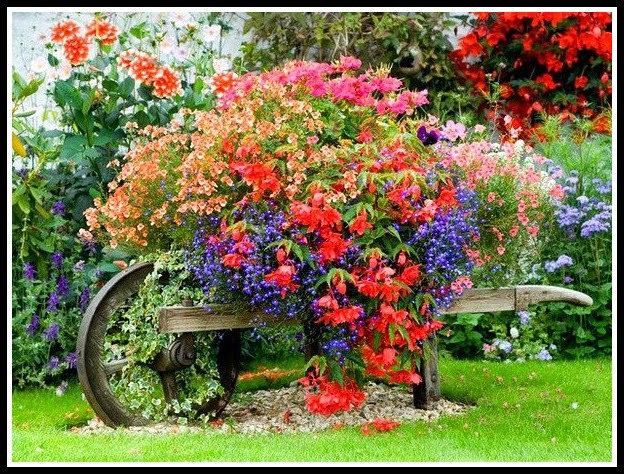 I win major awards for my beautiful gardens. Everything in my garden thrives. Martha Stewart visits and wants to know my secret. Yes, it is silly and I know none of these things will ever happen, but on my Pinterest boards there is no limit to what I can do or imagine! What are your "fantasy" or fear of failure pins? Love this!!!! I want to be your taster - and not gain any weight of course! When I visit I will expect your cheese tray AND those lemon thingies!! OH - and that bed in my guest room! Christie, you are too funny! The bed might be a problem. Hope it isn't a requirement for your visit! Thank you for the laugh! Your blog is refreshing with a twist. Are You a Fan...of Rattan?